You Asked Us…I’m new to Japan’s property market. Where is the best place to invest? Across Japan, other than in Tokyo, foreign investors have been turning to investments in high yield, cash flowing apartments that are surprisingly affordable. A property market of high supply and equally high demand. From USD$25,000 to $60,000 you can easily find properties with rental yield of 6% to 12% on average net pre-tax, depending on the location. “Net pre-tax” is important because it factors in all known costs. It doesn’t include taxes and unknown costs.With yield this high, it’s not surprising that offers are made on attractive, high-yielding properties almost as soon as they hit the market from local investors. Based in Fukuoka, our Japanese and English speaking team help foreign investors also get their foot in the door. Since you are new to the market, unless you are looking for properties synonymous with Australia, UK and even New York focused on appreciation, I would avoid the Tokyo market. In this speculative arena, you would be paying a mighty high price for very low yield. Instead, a safer alternative would be small apartment investments in tier one and tier two locations as you would find in Fukuoka and Nagoya with rental yield of 6% to 8% net pre-tax. In the first tier, based on appreciation potential and population are Fukuoka, Osaka and Tokyo. 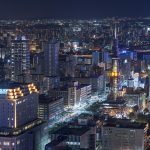 In Fukuoka, both population and prices have increased in the last three years, and occupancy rates are higher, making this city a safer investment for monthly rental income. For a 1 bedroom apartment priced at USD$32,000 at 7.4% yield net pre-tax, you could earn approximately $200/month in rental income. In the second tier are cities such as Nagoya, Yokohama, Kawasaki and Sapporo. 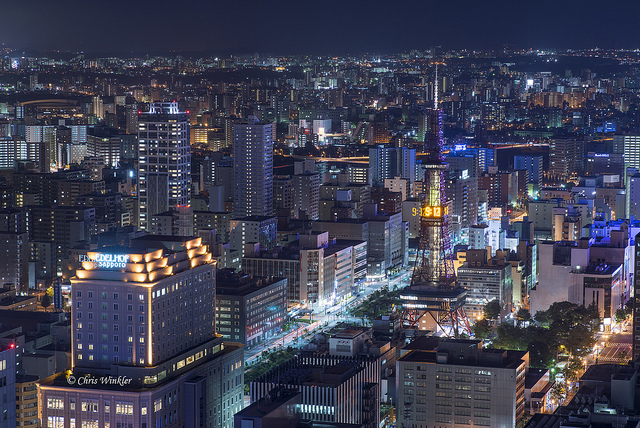 Sapporo is Japan’s 4th largest city where you will still find a steady long-term tenant base, however population growth is lower than that of the first tier and prices haven’t increased significantly, resulting in slightly higher yield. In this tier rental yield would be closer to 9% to 10% net pre-tax. For a 1 bedroom apartment priced at $28,000 at 9% yield, net pre-tax you could earn approximately $218/month. Finally, as you grow your portfolio, you could dabble in more adventurous, smaller but stable satellite cities or attractive industrial towns such as Kobe, Kumamoto and Kitakyushu where you can find yield upwards of 10% net pre-tax. In this example, a two bedroom unit in Yokohama, priced at approximately $80,000 at 10% yield would generate approximately $650/month. As unusual as it sounds, in Japan, properties depreciate while land value appreciates. With this in mind, the best scenario would be to benefit from cash flow and appreciation. For as little as $300,000 you could own a small apartment building in a growing area which would give you both appreciation on the land portion of the building as well as rental income from each unit. As an example, in Fukuoka city, on a $300,000 building, with rental yield of 7% net pre-tax, you could generate $1,900/month in Fukuoka city. These are just a few examples of what you can expect in the Japanese property market. Ask me about properties to suit your criteria with the highest yield. Share the post "You Asked Us…I’m new to Japan’s property market. Where is the best place to invest?" This entry was posted in Japan Real Estate and tagged APAC, Asia Real Estate News, Asia-Pacific Real Estate, Foreign Investors, Global Real Estate, Institutional Investors, International Properties, International Real Estate, Investment Property in Japan, Japan, Japan Business, Japan Economy, Japan Property, Japan Property Market, Japan Real Estate News, Japanese Properties, Japanese Property, Overseas Property, Overseas Real Estate Investors, Real Estate in Japan, Sapporo, Tokyo. Bookmark the permalink.